Cool milled below 44°C from just raw organic macadamia nuts from Australia, Kenya, or South Africa no added oil, no added salt. Absolutely delicious! A little goes a long way. Natural Macadamia Nut Oil will separate on the surface during storage, just stir back in. In our all organic factory we are proud never to use refined oils, emulsifiers or anything artificial in any product. We are very careful to avoid any risk of cross contamination. We also process sesame, mustard, soya and peanuts. Best to refrigerate after opening and eat within two months. Natural nutritious oil may separate on the surface, just stir back in. Organic macadamia nuts can naturally contain nut shell fragments etc. We check and remove during production but cannot guarantee to have found every piece. 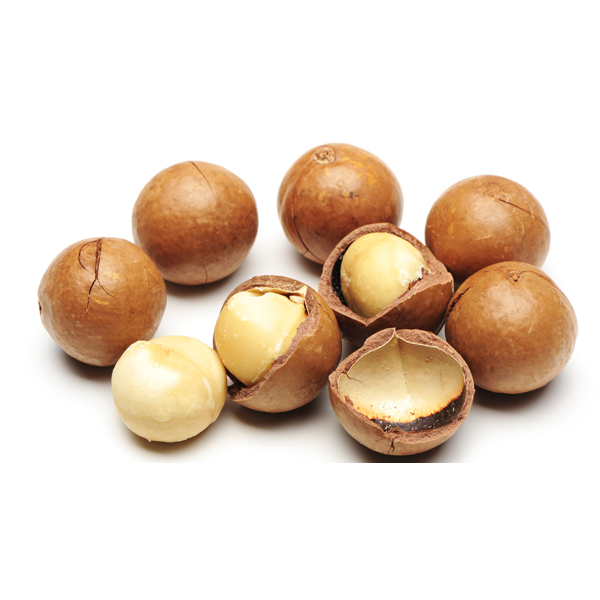 Macadamia nuts are the fruits of the macadamia tree, which is native to Australia. 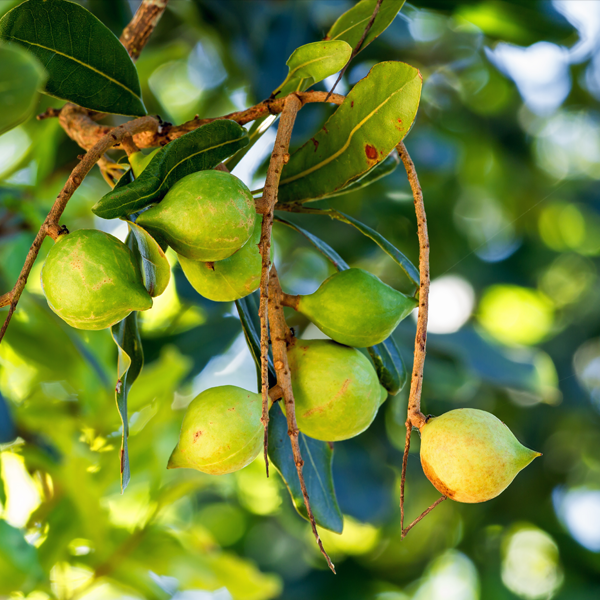 Also called Queensland nuts, bush nuts, maroochi nuts, Hawaii nuts, and Bauple nuts – macadamia nuts are commercially very important. 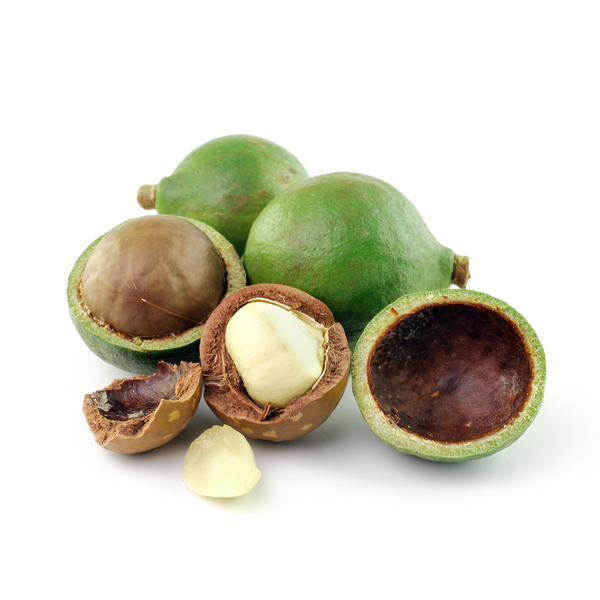 Macadamias Provide Essential Minerals, Vitamins, and Heart-Friendly Monounsaturated Fatty Acids. 100 g of macadamia provides 8.6 g or 23% of daily recommended levels of dietary fibre. Additionally, they are an excellent source of phytosterols such as ß-sitosterol. Besides, they carry no cholesterol. Since macadamia is free from gluten protein; it is one of the popular ingredients preferred in the gluten-free food formula preparations. Such formula preparations are a healthy alternative in patients with the wheat gluten allergy and celiac disease. The nuts are rich source of monounsaturated fatty (MUFA) like oleic acid (18:1) and palmitoleic acids (16:1). Studies suggest that MUF fats in the diet help lower total as well as LDL (bad) cholesterol and increase HDL (good) cholesterol levels in the blood. The Mediterranean diet, which is rich in fiber, MUF fats and antioxidants work favourably in maintaining healthy blood lipid profile and thus offer protection from coronary artery disease and strokes. Cool milled below 44°C from just raw organic macadamia nuts from Australia, Kenya, or South Africa. No added oil, no added salt. Absolutely delicious! A little goes a long way. rich in many important B-complex vitamins. Natural nutritious oil may separate on the surface, just stir back in. Organic macadamia nuts can naturally contain crop fragments etc. We check and remove, but cannot guarantee to have found every piece.